Satan seeks to sieve you and me like wheat…he has been sieiving me for a while like JOB, so far Jesus has held me up to himself………………………………………………………………YOU? Will you Deny GOD? and bow to the heathen gods of the jews and their proselytes? Ironically the world for at least the last 40 years have awaited a Stephen King type Catholicos cryptic, Hollywood type demonic climax………………………….never even knowing they were living in it……………it has been and will continue on unto the summation……………………………………………..
My daughter told me last night she thought that we were living a kind of hell now. On a flesh level we have decent schools and fun cooperative neighbors and nice friends. At least she is not caught in satan’s trap of thinking that bad is good …But I replied NO NO – you DO NOT want to see the real everlasting hell – MUCH WORSE (summation – no chance). Pray there is time that she will hear more and respond to J E S U S. She noticed when I read KJV Book of John the other day that there was a lot of “LIGHT”. You know the difference, lets pray she discovers the difference of Eternal life and forever death in outer darkness. beware Judaizers of Satan’s spawn. My other “bretheran and my saysthuruns” say I should not tell of this, but how can I omit Judas Iscariot’s spirit? sold out for thirty pieces of silver……………..
not even a few months he was diagnosed with brain cancer and died…………………..
is youR work finished…Date RAPERS? I wish….only three months to go…2 plates and 24 screws………. yeah the finger tip workouts are tedious…. Plates and screws … now those will be some robust ab implants. Are you going for the Samson look? ha…i was talking about my foot damage…yall left me standing still. Haha…I know, just pickin’. Stay away from magnets, it’ll be like a shackle. you people are cold…….sound like a bunch of yappin toolpushers………blah blah blah blah. haha. I’m still cracking up over this comment on ab plates and screws – now every time I think of RP I picture a terracotta soldier (with a sore foot) – but should this instead picture the breastplate of righteousness ? And on RP brother – that is very sad. Was this reactionary? My older sister (a plaintiff attorney) dotes on every word of the rachel maddow and if I comment at all – she says I’m a russian (haha – very far from the truth). I keep thinking – Luke 8:17 For nothing is secret, that shall not be made manifest; neither any thing hid, that shall not be known and come abroad. I feel like a terracotta soldier buried with a broken foot…….. I could not convince brainwashed brother of who Jesus the Christ Our King is, he chose the Robber of the choose. Obedient anti-Christ proselytes, Noahide Druze……. The spiritual leader of the Druze community in Israel , Sheikh Mowafak Tarif, this weekend signed a declaration calling on non-Jews in Israel to observe the Seven Noahide (Bnei Noach) Commandments, as laid down in the Bible and expounded upon in Jewish tradition. Several weeks ago, the mayor of the primarily Druze city of Shfaram , in the Galilee , also signed the document. Behind the efforts to spread awareness of the Torah’s Seven Universal Laws is Rabbi Boaz Kali, of the directors of Chabad-Lubavitch institutions in the Krayot area of Haifa and the chairman of the Worldwide Committee for the Seven Noahide Commandments. The recent signature by Sheikh Tarif is part of Rabbi Kali’s ongoing efforts among Israel ‘s non-Jewish community. In the past few years, Rabbi Kali’s organization has placed roadside ads in Arabic calling for observance of the Noahide Laws, as well as distributing Arabic-language pamphlets on the subject among Arabs in Israel and the Palestinian Authority. We were sitting at breakfast and speaking with them, while away at a bed and breakfast in Lancaster, PA. I inquired about what “flavor” of Christianity they were and they stated, ” Messianic Judaism”. My immediate thought was…oh boy two folds, and so it began. They had stated that just the day before they had been urged ( by whom, I don’t know, but an agent of satan no doubt) to start a church in Iowa, they were currently attending a ‘Bible” church of no denomination, but seemingly dispensationalist leaning, but she was so scornful about them I could not really get that out of her, so not for sure. But it would not surprise me if this was the stepping stone they followed to their current anti-christ path. That was my first “oh my” moment. They had taken on vast amounts of pride, in their “new found” knowledge of the so called truth. To the extent that is caused them to scorn the folks they were in fellowship with. Their statement was, “they think we are crazy, they are ignoring the way Jesus lived.” They had hate, not love for those who stood fast for the Testimony of Jesus Christ Alone and did not consider their fables. Anger, pride and false righteousness of the pharisees seethed from these two. As the conversation progressed they were making their case for following Torah , and some book about the Torah that changed their lives. Rediscovering Torah or something like that. They insisted that it was a form of worship that first day and nothing to do with Salvation…..oh but that answer changed the next day when I confronted them with Scripture. When I asked about the Noachide Laws, Bob used his fake yiddish accent to pronounce the word and acknowledged that he thought it was fine that there was a separate set of laws that only the jews would follow, and that it was right for all the non-jews to have their own set of laws, after all we are not jews, so we are not jews you know. I then asked about the law regarding idolatry and denying Jesus under that clause….I was met with blank stares and a change of subject. Just like the folks at their current church probably do to them. And the subject went back to how angry they were at these people for not grasping their so called truth. You can totally see how they families will turn against each other and betray one another, the pride begets this hatred for those who are not ” doing right” according to this twisted anti-christ view. How quickly these two people became filled with hate when they realized how superior their truth was (not capitalized on purpose) and henceforth, they themselves, they where more holy, more devout, they had it right. Their righteousness was that of the Pharisees. Next day they were leaving, so I made a point of being prepared with Scripture and I talked with them outside. I first asked them why they wanted to ” go back” to Torah practice. That was the wrong wording they have a whole response waiting for the words ” go back”. It is not going back it is continuing the right way. They maintain that Jesus never stopped practicing Torah and that to have true faith is to live like Him and follow Torah. I said, well His Finished Work on the Corss is when He stopped, no more passover ( He was the perfect Lamb of God) no more sukkot, no more of the feasts looking forward to the coming Messiah, he had come and was rejected. Well they proclaimed that He would be doing all that if he were here, and that He kept Torah so we should too. They also claim that He was rejected because the church has not presented Him in a way that the jews can recognize Him as the messiah. My response was… So Jesus… who is the image of the invisible God, did not know what He was doing when He was among jewry, He did not know how to present Himself? He made a mistake? I emphasized That is when He was rejected as has been ever since. The response was, ” well He was just summing things up, He didn’t mean get rid of Torah, it is included there, you need to understand the Hebrew text of what He was saying.” they hang alot on Hebrew….so I stated, but the new Testament was written in Greek! I adamantly said, there is only ONE plan of Salvation, through Jesus Blood and Righteousness, and that the Jews today are anti-christ as is anyone who is not Saved and IN Jesus Christ. They were somewhat dazed by the realization deep down that they were following an anti-christ teaching, it took them a minute to gather there iphone and look things up in there hebrew bibles, but it said the same thing in whatever corrupt version they used and they had no answer. It was like they were saying… huh! we never noticed that before. They were quickly darkened again by their delusion and they said……WELL we don’t know the mind of god, and he has power to do whatever he wants and we are not going to say he can’t save them some other way”. I was like….WOW, that is about you, not Galatians. UNSTABLE ! you almost fell over when I presented you with TRUTH about your anti-christ beliefs in 1 John. So they use the Bible to throw out part of the Bible, the Torah is the real authority, so , so twisted. There was so much more we discussed, but these are the main points. I continually asked the Holy Spirit to give me meekness and the words, it was amazing how He provided, I hope the seeds of TRUTH grow , I have an email for them and I will continue to try to water them with TRUTH. But they reject whole sections of Scripture, this is what they are being taught. Just like higher criticism, they are trusting fables, not Jesus. Same old lie satan told in the garden….”Did God really mean……”, it is still working to steal souls, be a souls winner time is short. THAT IS HOW WE KEEP HIS COMMANDMENTS, LOVE! Not warning people of their error, of their anti-christ beliefs, is HATE. You have to HATE someone a whole lot NOT to warn them of their eternal Lake of Fire destination without the Righteousness of JESUS. Rescue the perishing, care for the dying, everyone without Jesus is dying eternal death, RIGHT NOW! Our one job, rescue , care, ….in LOVE! It is a set-up, they will adopt the Noachide laws, because they are extended as an olive branch to the Arabs as seen above in RP posting. Jehoshaphat was warned about having anything to do with LORD haters, it brought WRATH. So he set out to do some soulwinning and turn them back to the LORD. “Thus as do their masters the creatures they seek a flesh Olam Ha Ba in that unholy land of Flesh after the manner of Hagar the Bond servant, in that filthy city jerusalem, called spiritual Sodom and Egypt, they yearn for their flesh animal sacrifice and their flesh temple of abominations on that flesh secular hill of zion. They have wholesale rejected the Kingdom of God and Gods Holy Mountain Sion in Heaven and with a company of innumerable angels, they reject the LAMB of GOD, they Deny that even he is the TEMPLE Therein, these deny the BRIDE New Jerusalem, these reject eternal life to serve that old Devil and Satan the Dragon in his offered utopia, temporary as it is.” These have rejected Sarah the FREEWOMAN, for they are after the manner of flesh (Galatians, Revelation….the ENTIRE Gospel and since Genesis the Beginning. Well done in Jesus Mighty Name. meanwhile the whore city groans for her false savior………………………………………………. seeking their Satanic ritualistic animal slaughters, rejecting the Lamb of God, they wail at their wall for Tammuz. Clarifying Matthew 24 (KJV) the saints are now in tribulation, the Great Tribulation is reserved for all who denied Christ Jesus the Lord God Almighty and his Father. line by line precept by precept. The Day of the LORD is a very terrible and a very dark day, woe unto them who seek it. Keeping in mind Daniels prophecy attested to the ONLY MESSIAH the ONLY Prince, The Only Everlasting Covenant. That’s right, unbelievers swayed by the fables of the jews and their babbles, NIV, NKJ, ASV…etc.,,, It is Jesus alone who confirms his Everlasting Holy Covenant with his own sheep. It is he who will stop the abominable animal sacrifices the jews will do in their third temple of abomination. It is HE ALONE with ten thousands of his saints and He will destroy that impostor False Christ, Moshiach ben David of Sanhedrin with the brightness of HIS Coming. BEWARE. the so called pre-tribulationist are majority dispen-satan-alist and call themselves evangelicals. Yes they evangelicize for their masters the jews whose God has no Only Begotten Son and these are their proselytes MADE TWO FOLD THE CHILDREN of Hell, given unto the fables of the jews. 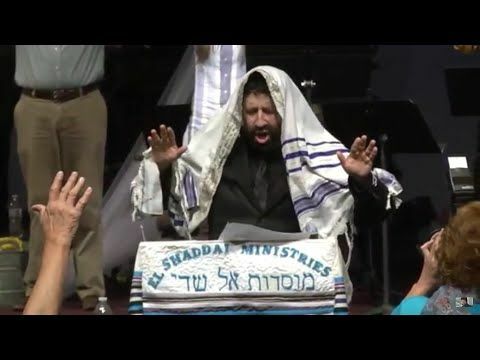 these have already rejected JESUS the Christ the Lord God Almighty, God come in the flesh and now by the fables of the jews have renamed Jesus with all sorts of Judaized Talmudic Yiddishe names, Blotting out the name above every Name and the Only name in which to enter into the Kingdom of Heaven. The have ALREADY accepted the Beast and the impostor false Christ to be Revealed, because they did not believe the TRUTH in Righteousness, so that God hath sent them a strong delusion to believe the lie, so that they may be damned and perish forever. These by their fables that the scripture says” if you curse Israel you are cursed” . Abraham a Chaldean from UR Babylonia, at the time of the Covenant between God and him, Abraham, had and has nothing to do with jewry. According to KJV Galatians 3& 4 the only seed of Abraham is them of faith in Christ the One seed from the beginning. Thus when they worship these jews, they too condemn and curse Jesus and his saints and elect and they worship the creature more that that CREATOR, the IAM. When you hear these, REBUKE them Hard in the Name of Jesus the Christ and do not become unequally yoke with them who are to be cast into outer darkness. Beware of the foolish “Sacred names” jewish fables. KJV Exodus 6:3 And I appeared unto Abraham, unto Isaac, and unto Jacob, by the name of God Almighty, but by my name Jehovah was I not known to them. Raptured by the Date Rapers? May God the Creator have mercy upon them. People of the earth, you have had sufficient warning. As warned the genocide of mankind will escalate more each day unto the consummation of Gods Wrath. Repent in the Name of JESUS who is the Only Christ the KING and Lord Almighty. Make no mistake, Itsreallyhell is making her move in conjunction with the Ordo Ab Chao of Dumpity Trump and N. Korea. and nope…no Jewish ” Der Homelandt Saykurity” Security Grants here…….sorry folks those are reserved for the SynaGog of Satan. The Marxist Demoncrats weigh in quickly to dis-arm the Christ Believers……by passing the Pre-COGS. even as warned many years ago after the Illegal jewish Banker bailouts…next would be the jewish controlled Insurance company bailouts…….. Behold a Church of Jesus who is the Christ the Living God. First Baptist Church of Sutherland Spring, Texas. You can bet the Murderer was a Proselyte of the jews. I tell you, who will listen, I have never saw such a battle waged against Jesus the Christ the King and Lord God, as I am seeing and meeting these of Lucifer in these last few weeks. Evil is totally unleashed upon the inhabitants of the earth, whose names are not written in the Lambs Book of Life slain from the foundation of the World. Stand Fast, Stand Firm for the reward is GREAT in the Kingdom of Heaven in Sion and New Jerusalem. The unbelieving will worship at your feet on the Day of the Lord’s Wrath. Note: Itsreallyhell and Chabad Lubavitch has not dispatched aid for lowely Jesus Christ worship Victims from San Antonio or surrounding areas. After all there are no Chooish victims, this time. For those of you who cannot comprehend the relevancy….stick around…soon you will understand if you are wise in the Lord Jesus the Christ the King. The unbelievers will never understand. A while back I had a reader make a snide remark about my sites one “Like”. I say praise Jesus who is Christ, for One changed the entire world. Thus I pray , just send one lord, just one more of your sheep. Satan that Old Dragon and his minions and their proselytes cries out while he is kicking down mankind. “At issue is the Anti-Semitism Awareness Act — a version also is under consideration in the Senate — which would codify the State Department’s definition of the phenomenon, which is used by diplomats to identify the problem and report on it. Top officials of the Anti-Defamation League, the American Jewish Committee, the Simon Wiesenthal Center and Christians United for Israel (TWO FOLD CHILDREN of HELL PROSELYTES) advocated for the proposed statute, as did Paul Clement, a former U.S. Solicitor General. Opposing were two Jewish studies professors, the director of PEN America – a speech freedom umbrella, and the head of an outfit that combats anti-Semitism.